When you are looking for a versatile and fun-to-drive crossover that will not blend in with the crowd, see the 2018 Kia Sportage. 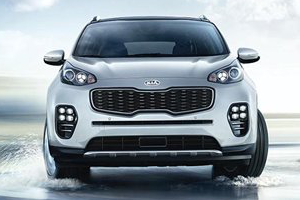 Kia's latest 5-passenger Sportage is aggressively styled and packed with high-tech features that modern drivers and families crave. Plus, with a nicely appointed interior and extensive safety features, the affordable 2018 Sportage provides excellent value for your money. All Star Kia of Baton Rouge welcomes crossover and SUV shoppers near Prairieville and Gonzales, LA to learn more about the 2018 Kia Sportage here on our website and during a visit to our Baton Rouge, LA dealership for a test drive and tour. With its rugged, sporty exterior and roomy cabin plus a choice of potent powertrains, the 2018 Kia Sportage delivers the capability you want with the style that turns heads. 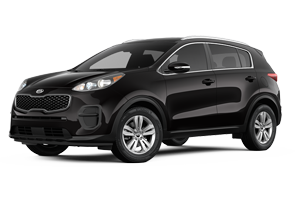 The 2018 Sportage LX and EX trims come fitted with a 2.4-liter 4-cylinder engine that sends 181 hp down to the road, in either front-wheel drive (FWD) or with available all-wheel drive (AWD). The 240-hp engine in the 2018 Sportage SX Turbo model is sure to excite you when you step on the gas, and its 260 lb-ft of torque helps the new Sportage tow up to 2,000 pounds with confidence. The Dynamax Full-Time AWD system is available across the 2018 Sportage line and continuously monitors road conditions and individual wheel grip to distribute torque for maximum control and traction. From its standard rear-camera display and available front and rear parking sensors to Lane Change Assist and Rear Cross Traffic Alert, the 2018 Sportage from Kia is well-prepared to protect and inform you on any drive. Kia's advanced driver-assist systems are offered on the 2018 Sportage, too. Standard on the range-topping 2018 Sportage SX Turbo, smart safety features like Autonomous Emergency Braking and a Lane Departure Warning System are your extra eyes while out on the road, alerting you and even applying braking pressure to remain at a safe distance from traffic. The 2018 Sportage may be known as a sporty crossover, but it also packs extensive premium amenities inside its spacious cabin for five. Every 2018 Sportage gets a touchscreen display, ranging from a 5-inch unit to an 8-inch screen complete with Kia's latest version of its UVO connectivity system. A Bluetooth wireless hands-free phone system is standard, plus smartphone connectivity is offered through Apple CarPlay and Android Auto integration. Navigation and a premium 8-speaker sound system are available to further enhance this crossover's technology features. 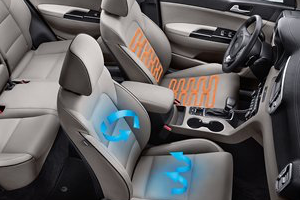 Both the 2018 Sportage EX and SX Turbo get leather seating surfaces with heated front seats, plus a leather-wrapped steering wheel and shift knob for an upscale look and feel. Test drive the versatile 5-passenger 2018 Kia Sportage near Prairieville and Gonzales, LA at All Star Kia of Baton Rouge. Our dealership website offers the chance to get pre-qualified for auto financing for your Sportage or other new Kia from the comfort of your home before you visit our dealership and service center, so shop All Star Kia of Baton Rouge today!